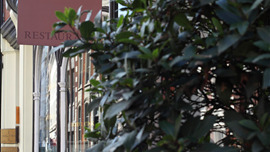 The Colbert opened in October 2012 on fashionable Sloane Square, the site of the well-known Oriel Restaurant which had occupied the space for two decades. 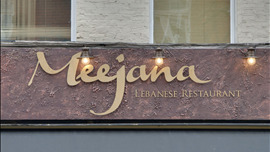 The restaurant marks the third opening this year from Chris Corbin and Jeremy King, who also launched The Delauney in Aldwych and more recently Brasserie Zédel, just off Piccadilly. 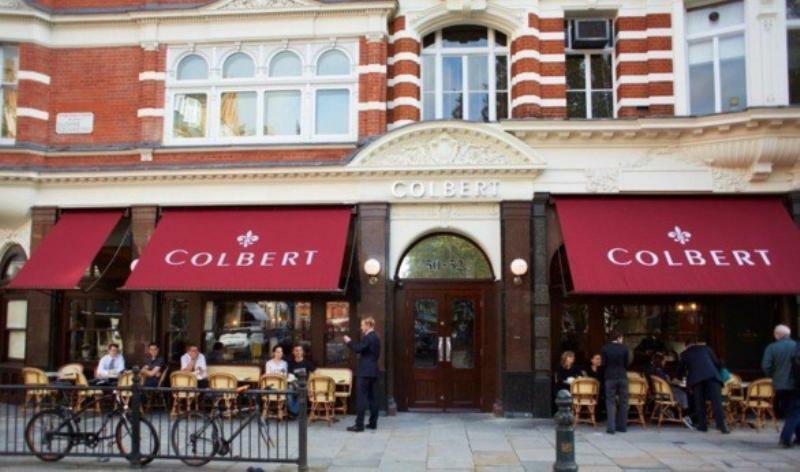 Taking inspiration from the popular Parisian pavement cafés, the Colbert is ideally placed for theatre-goers next door to The Royal Court Theatre. The interior designed by the acclaimed David Collins Studio has been given a a classic brasserie de luxe look with art nouveau decorative arches, Victorian tiling, black and white chequerboard floor tiles, moulded glass chandeliers and original French posters adorning the walls. The kitchen is overseen by Maarten Geschwindt, who joined the restaurant in Spring 2015 from The Landmark Hotel's Winter Garden where he was Chef Patron. Fine ingredients are judiciously employed for their capacious all-day venue which takes in breakfast to morning coffee, lunch, mid-afternoon snacks, early evening drinks and a full dinner menu. There's something for everyone on the extensive menu from a classic Croque Monsieur to caviar with blinis and crème fraiche or steak Diane, while desserts take in crème caramel or tarte fine aux pommes. 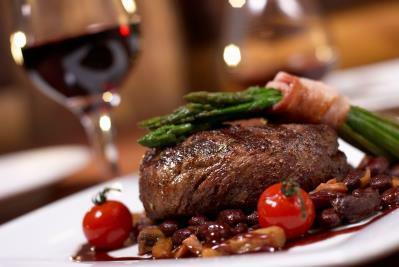 The food is matched by a carefully chosen wine list of French varietals with a large number available by the glass.